Chong Keow was born on August 8, 1963. 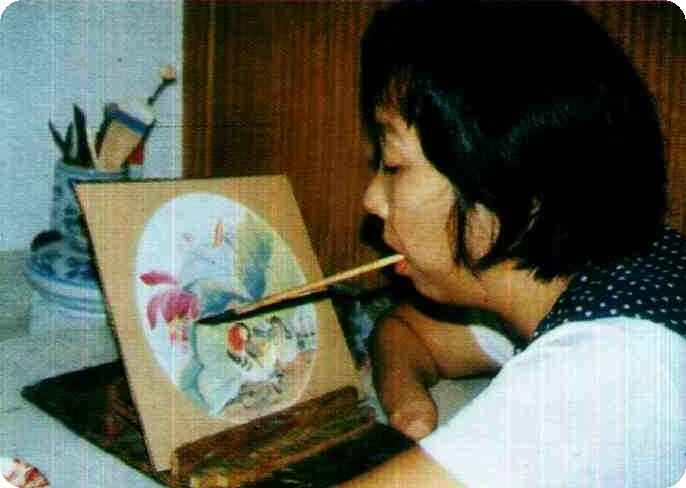 She was born with deformed hands and she learnt to paint on her own by gripping a brush between her teeth. Her hobbies are listening to music and art painting. She was granted a stipend in 1988.